The conference hotel SPES (Seminarhotel SPES) is situated on a plateau overlooking the Upper Krems Valley (Oberes Kremstal). 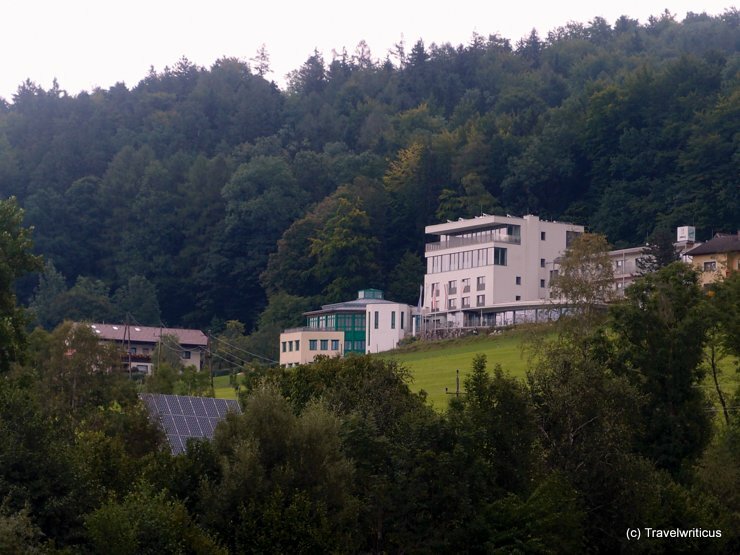 It is near the centre of Schlierbach but also next to a forest. It offers rooms in a modern building opened in 2009 but also in a eco-holiday resort at the foot of the plateau. I used my stay at the hotel for having brunch at the Dunkelgenussraum, visiting some local farmers who are known for organic farming and taking a lesson in reaping with the scythe. This entry was posted in Accommodations, Hotels and tagged Austria, Schlierbach, Upper Austria by Travelwriticus. Bookmark the permalink.